WFP has implemented an electronic food voucher (e-card) system for vulnerable Syrians in Lebanon who cannot meet their basic food needs. 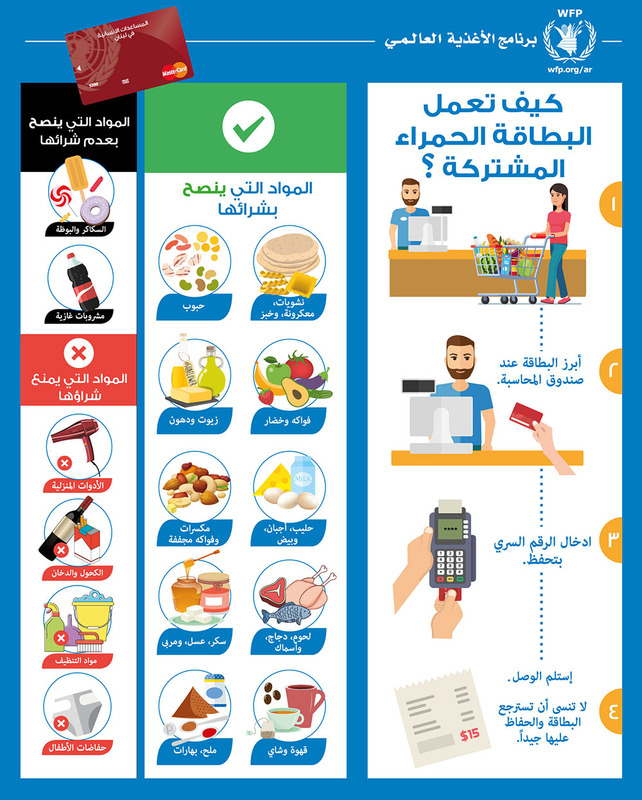 This info graphic was designed to inform the refugees how to use the card through illustrations and small word guidance. 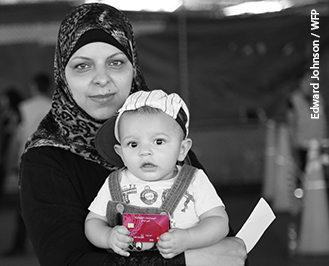 The e-cards are loaded at the beginning of each month, and are used to purchase food from more than 400 local shops, boosting the local economy and providing Syrians with access to fresh produce, dairy products, poultry and meats.